Back in December, I reported that General Mills would be debuting gluten-free snack bars under its Food Should Taste Good line. 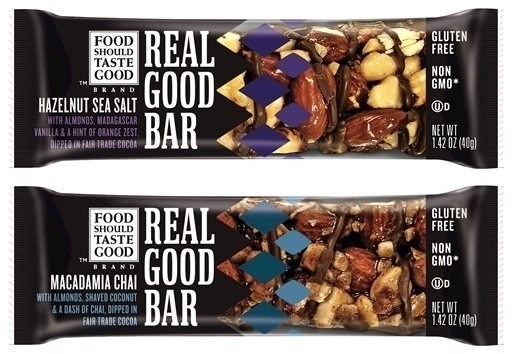 The Real Good Bar products launched this week in two varieties: Hazelnut Sea Salt and Macadamia Chai. Hazelnut Sea Salt features a combination of honey, Turkish hazelnuts, California almonds, Madagascar vanilla and orange zest, while Macadamia Chai offers a blend of cardamom, cinnamon, ginger and allspice and is made with whole almonds, chopped macadamia nuts, slivers of coconut, Fair Trade Certified Cocoa and a dash of Chai. The suggested retail price for each bar is $1.65. The area's second b.good location opened yesterday in Wynnewood (280 E. Lancaster Ave., 484-417-6345). Burgers from this New England- based fast-casual chain can be served on gluten-free buns, and all fries are prepared separately. Several shakes and desserts are also gluten free. Reader and Gluten Free Philly beer writer Chris B. let me know that the printed menus at Asian fusion spot Azie in Media (217 W. State St., 610-566-4750) note gluten-free options. In Stone Harbor, the dinner menu at Borgi's By The Bay (8128 Third Ave., 609-961-3899) lists gluten-free options. The kitchen can also substitute gluten-free pasta. 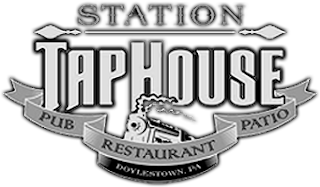 Doylestown's Station Tap House (194 W. Ashland St., 215-348-1663) offers gluten-free and gluten-free-available options from its menu. Bringhurst Meats in Berlin (38 W. Taunton Rd., 856-767-0110) has a rotating array of gluten-free entrees available for pre-orders and often has several meals on hand in the market. The chef prepares those dishes and several desserts separately. Sweet Christine's Gluten-Free Bakery in Kennett Square (503 Orchard Ave., 610-444-5542) is temporarily closing its retail bakery as of July 3 to focus on its wholesale business. Stop in this week or next to receive a coupon good for free online shipping on orders through August 31. No reopening date has been announced as yet.